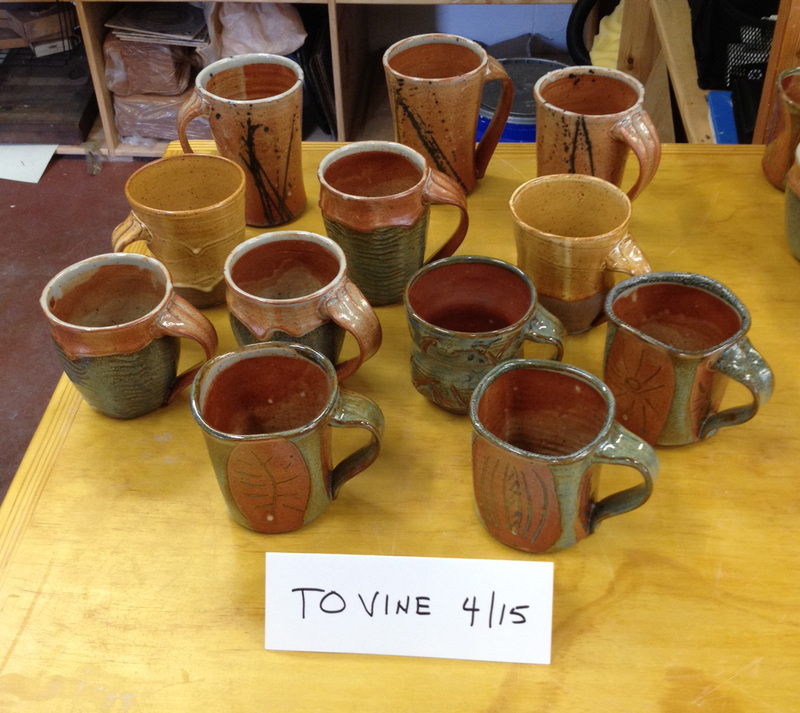 I delivered 11 new mugs to Vine last week, rotating the same number out of the mix. All the mugs came out of a very nice, mid-March kiln firing at St Pete’s Morean Center for Clay. The best results occurred in what I’m calling the “Graphic” and “Shino Blacksplash” mugs, captured in the front and back rows, respectively, in the accompanying photo and in the first two of four images on Page 1 of the Mugs gallery page. Mugs similar to these, out of the same March firing, will be on sale at Vine from April 10th through the 17th.